Junior lecturers make only 20,700 rupees (about US$ 190) whilst senior professors take home 57,000 rupees (US$ 520). The government only spends 2.6 per cent of its budget in education, 0.32 in higher education, far less than Ethiopia (4.5 per cent). Meanwhile, fishermen are harmed by government policy. The government has offered to raise senior professor monthly salaries to 115,000 rupees (about US$ 1,000). The Federation of University Teachers’ Association (FUTA) has approved the pay hike but said it would cancel tomorrow’s protest march only if the salaries of junior academic were also improved. 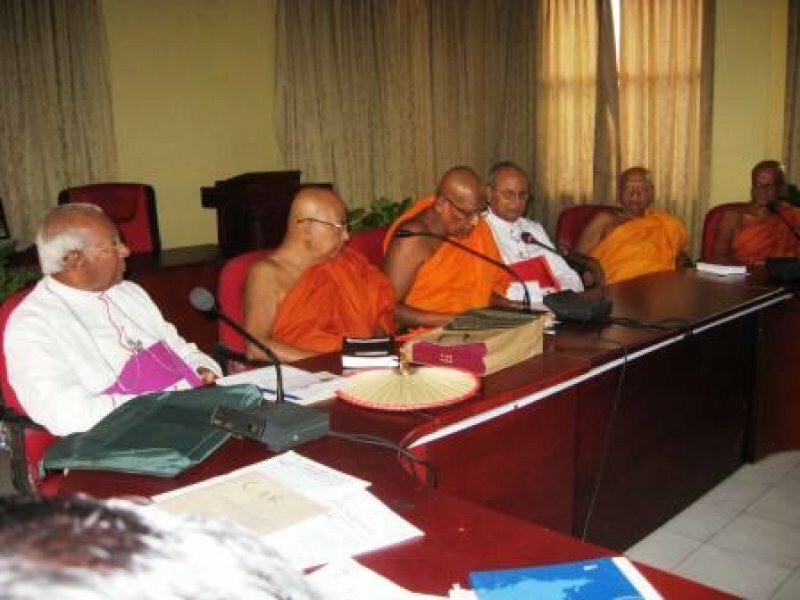 According to Buddhist monk Amila Thero, higher education in Sri Lanka suffers from government neglect. “Only 2.6 per cent of the government budget goes to education, 0.32 per cent to higher education, far lower than in Ethiopia, which spends 4.5 per cent.” In his view, “If we could stop corruption, more money could go to education”. Meanwhile, President Rajapaksa’s economic policies are harming fishermen, victims of a tourism-oriented development that pays little attention to their needs or those of the environment. On Saturday, 35 Sinhalese and Tamil small-scale fishermen in Trincomalee District (Eastern Province) met to discuss ways the Fisheries Management Act No. 6 of 1996 could be used to counter destructive fishing practices and illegal operations, such as the use of dynamite to catch large quantities of fish, said Priyantha Kumara, a small-scale fisherman. Herman Kumara, national convener of the National Fisheries Solidarity Movement (NAFSO), noted that such practices not only prevent small communities from fishing but also price them out of business.